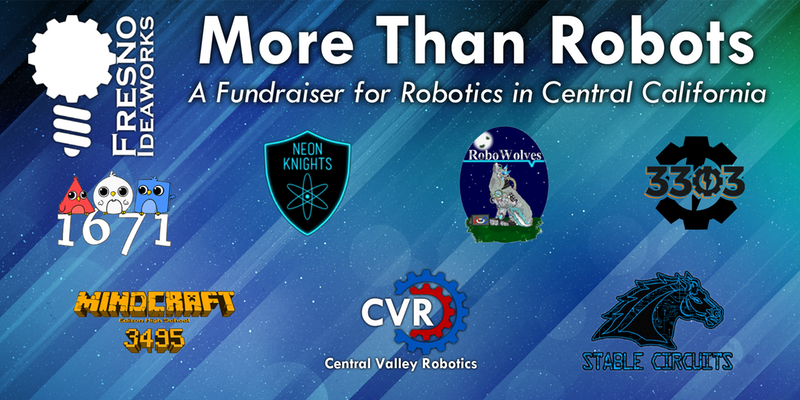 Fresno Ideaworks is proud to present the 2017 More Than Robots Fundraiser. This event supports our local FIRST Robotics Competition teams and Central Valley Robotics to bring the progression of FIRST programs to more students in the Central California area. This event connects our community with all of the wonderful sponsors and supporters of the FIRST programs in the valley for a night of dinner, dancing, and auctions. Note: There will be alcohol sold and served at this function. Attendees will need to be age 21 to attend.